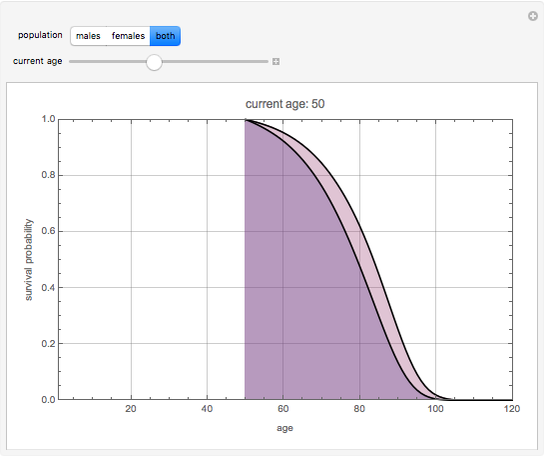 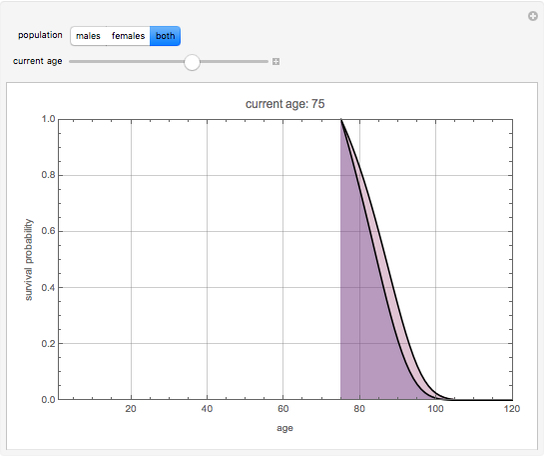 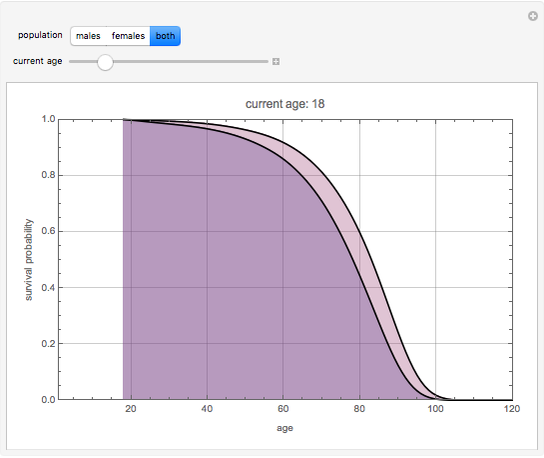 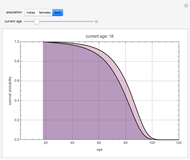 Work out the probability of surviving to a certain age, given your current age. The underlying data comes from the U.S. 2002 standard life table. Mike Pilat "Life Expectancy in the U.S. Population"